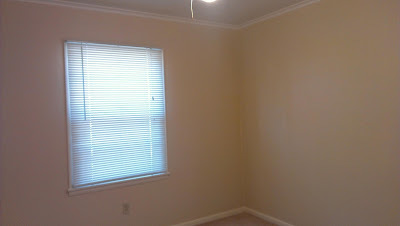 Today, I got my spare bedroom sans a bed painted. It's not really what I planned to do. My work runneth over, and I had planned to get a few hours in today. However, my dad said he would come over and do the cutting in so I wouldn't have to tape. Sounded good. I jumped on the offer. 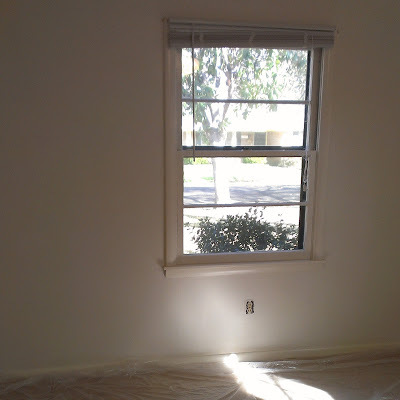 Did I mention that last week he said that he felt like he should help, but he was a messy painter and would make a bigger mess? This left me questioning a bit. He came over got an edger and left paint all over the trim. When I pointed this out, he decided he was no help, and left. Had I known I would be solo, I would have put it off until next week. With wet paint on parts of every wall, I then had to go back and tape the ceilings, base boards and door/window trim. I sobbed for 30 minutes first. After going out to get something to eat, I was too exhausted to go up and work. I ended up taking a nap and now I need to take some Advil because my arms are sore again. And crocheting the project mom needs by Friday isn't feeling great. Now, guess what I need to do tomorrow instead of nothing. Sigh.